I’ll confess, there are times when Turtle is napping and I REALLY need to get a blog post finished, dinner prepared or 15 minutes of “me time” so I turn on the TV and let the TV babysit 5 year old Bean while I get my work done. Do I feel like a horrible mom admitting this? Kind of… but I know that I’m not the only one. My kiddo loves TV. She doesn’t get to watch it constantly but sometimes after she’s played with her Barbies, read a pile of books, cleaned the playroom and colored some pictures I let her watch a bit of TV as a reward/to keep her occupied. 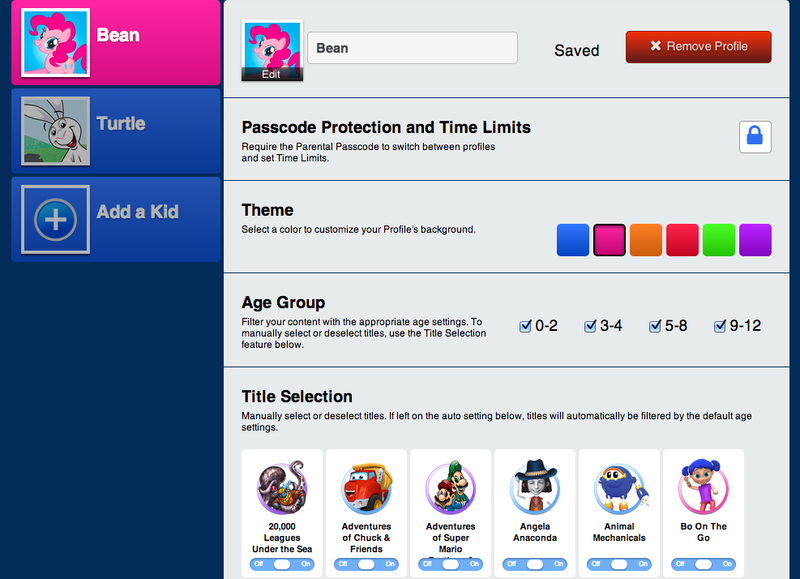 That’s why I was so excited to test out Kidoodle.TV, a new kid friendly web streaming service from a Calgary creator. 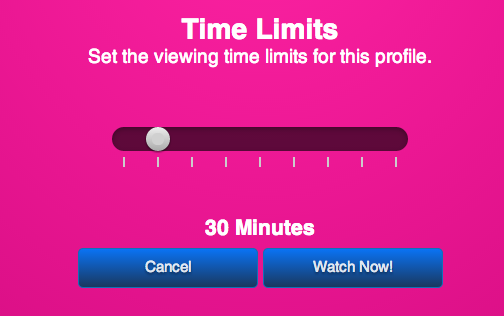 The thing that I love the most about Kidoodle.TV is that you can set a time limit for how long your child can watch TV for. I’m notorious for telling Bean that she can watch TV for half an hour and then realizing an hour later that I have lost track of time and the TV is still on. This won’t happen with Kidoodle.TV. Parent’s set a time limit and when that time is up the screen locks and won’t unlock without the parent’s password. Kidoodle.TV has a great lineup of children’s programming that’s both educational and entertaining. From educational shows like National Geographic Critter Cam and Zoo Babies to modern favorites like Pound Puppies and Yo Gabba Gabba to retro gems like Inspector Gadget and Jem and The Holograms. Kidoodle.TV is available to stream on your computer or mobile device. The company hopes to roll out availability to stream on gaming consoles and tablets in the near future. 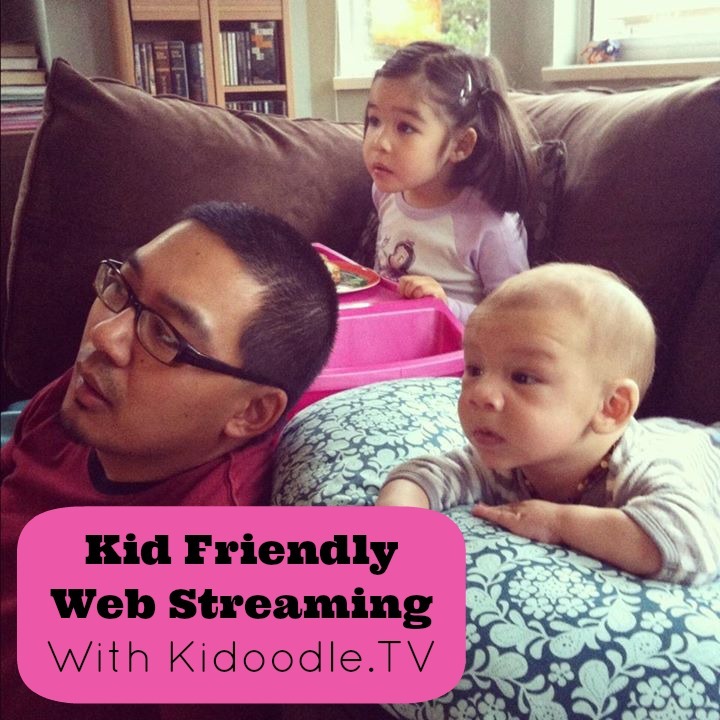 Kidoodle.TV has invited me to invite my friends to test out 4 weeks of Kidoodle.TV FOR FREE!!! Since you all are my friends I thought I would share this offer with you. Kidoodle.TV doesn’t require you to provide a credit card number to test out their service, which I think is pretty great. So give Kidoodle.TV a try for 4 weeks with absolutely no risk or obligation. If you love the service as much as I did sign up using Kidoodle.TV Coupon Code MCC25 and receive 25% off your subscription (coupon expires June 30, 2014). While your at it, enter to win 1 of 3 tablets and a 1 year subscription to Kidoodle.TV on their Facebook page! I’d love to hear that I’m not the only mom who occasionally lets the TV babysit her child. If you can relate I’d love for you to comment. Do you think that Kidoodle.TV would be a good fit for your family? I completely agree. Sometimes the most clever things come out of my girl’s mouth, and when I ask her where she learned it she replies with the name of one of her favorite shows. That is definitely one of my favorite thinks about Kidoodle.TV.